Former Emeritus Fuller E. Callaway Professor of Economics Richard Muth, a pioneer in the field of urban economics, died on April 10 at 90-years-old after battling gallbladder cancer, chronic obstructive pulmonary disease and cardiovascular problems, according to his wife Helene. Muth is survived by his wife and their two daughters. Muth taught in Emory’s Economics Department for almost 27 years. His work as chair of the department in the 1980s helped revitalize the department, according to Samuel Candler Dobbs Professor of Economics Paul Rubin. Born in Chicago, Muth moved to St. Louis at the age of 14. He served in the United States Coast Guard during his first two years as an undergraduate student at Washington University in St. Louis (Mo. ), where he graduated with a bachelor’s degree in economics in 1949. The following year, he received his master’s degree in 1950. He went on to obtain a doctorate in economics from the University of Chicago in 1958. After earning his doctorate, Muth taught at several universities including Vanderbilt University (Tenn.), University of California, Berkeley, University of Chicago and Stanford University (Calif.) before coming to Emory. Muth served on four different U.S. presidential commissions, including the Presidential Task Forces on Urban Affairs and on Housing from 1980 to 1981 and the President’s Commission on Housing from 1981 to 1982. In 1983, Muth left Stanford for Emory, where he served as chair of the economics department for seven years. As chair, he oversaw the turbulent department transition from the Goizueta Business School to the College of Arts and Sciences. During the shift, several economics professors were forced to occupy trailers as office space until they could be relocated. Carlson added that Muth was instrumental in organizing the economics doctoral program at Emory. “I don’t think [a doctorate program] would have gotten off the ground without a person of that stature,” Carlson said. Some economists consider Muth to be one of the founders of urban economics, an area of economics that studies city structure, housing and local government finance, according to Rubin. Muth’s book “Cities and Housing: The Spatial Pattern of Urban Residential Land Use” is a classic in the field, Rubin also said. “He was probably one of the better economists who has ever been at Emory,” Rubin said. Later in life, Muth spent more time focusing on his spirituality, according to family members and colleagues. At 68, Muth earned his master’s degree in divinity from the Candler School of Theology and taught adult Sunday school. Outside of academic study, Muth was a football enthusiast and avid traveler, spending time in Italy and Northern Europe with his wife Helene to whom he was married for 62 years. 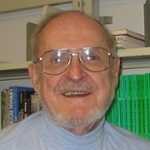 Even after his retirement in 2002, Muth taught “Economics of Sports” and other courses voluntarily, according current Economics Department Chair and Goodrich C. White Professor Hashem Dezhbakhsh. Several of his colleagues remember opera music emanating from his office throughout his tenure at Emory. In 2012, Muth published his fifth and final book, “Heretical Economics: An Unconventional Look at Current Economic Problems,” which shifted from a theoretical perspective of economics to a more pragmatic look at the current economic climate, according to his second daughter Lisa Muth. Lisa Muth said that in the later years of his life, her father’s interests shifted to more practical economic issues plaguing the world. “Towards the end of his life … he thought we should maybe use our gifts more to contribute to [and] better society instead of … staying in this academic realm and bubble,” she said. Above all, department colleagues and family members remembered his strong moral compass, exemplary character and dry sense of humor.